2017 was an exceptional journey of tremendous events and the formation of many wonderful friendships. Thank you for making our group a fun environment that I look forward to attending. Our board and ambassadors group assembled last week and evaluated what experiences we would like to create in 2018. As our distillers/ distributor relationships grow and we continue to garner a positive reputation in our community of fun/well-attended events, TWS ability to offer a varied group of experiences has also grown. 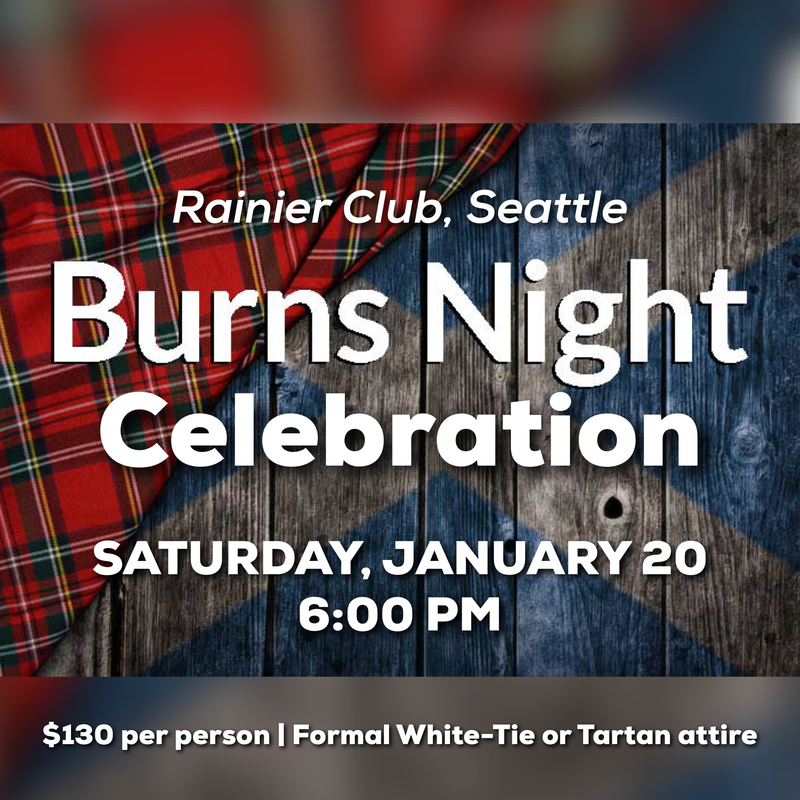 Hence, we have received a very interesting and compelling offer from our friends at the Rainier Club in Seattle that could be a great collaboration for the Robert Burn’s supper that we had planned for January 20th. There is a cost involved (about $130 per head for dinner, the tasting, entertainment, etc.) and the time is short to RSVP, but I know the evening will be unforgettable. Please read the invitation (below) from their Scotch Committee Chair, Jeff DeGroot and respond to Rachel that you will be attending so we can get our membership numbers to our hosts by the 11th deadline. If you have questions not answered in the letter, do not hesitate to ask. Time is of the essence, so we will be reaching out to each one of you through our Whisky Librarian, Zach.